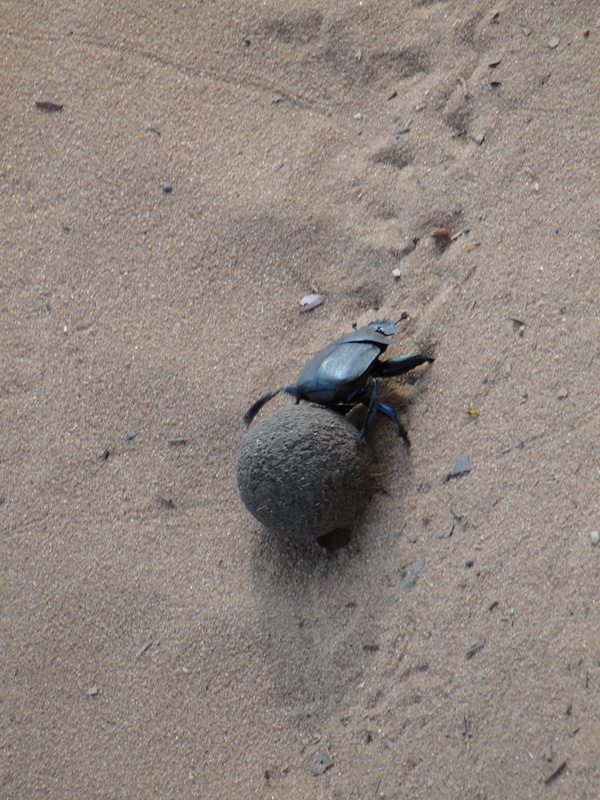 Today we watched a dung beetle roll a huge ball of dung along the sand. Late November is beetle mating season—just after the rains. This time of year male beetles use their front claws to shape a piece of elephant dung into a ball, and then pick up the ball in their hind legs and roll the ball backwards like a front-wheel-drive car in reverse. The first beetle we found had formed a near-perfect globe about the size of a billiard ball and moved it quickly and accurately over the sandy trail until it came up against a tree root. Then he left the ball and climbed the side of the bank to look around. Finding a likelier path, he went back, got behind the dung ball and pushed it laboriously up the constantly shifting wall of sand backwards until he reached the green field above the trail and then motored off. The second beetle had a pathetic dung ball. It was more like a snow-globe with a flattened bottom. It wobbled and lurched, half the time sideways, and flopped its way down the trail. So we were surprised when a female dung beetle landed nearby. She’d noticed the movement and was impressed enough by the size of the ball to check things out. If the ball is large enough (which means plenty of food for their children), and well-shaped (which means he’s agile, which means he’s young), and he can move it quickly (which proves he’s strong), it tells her that he has good genes and will be a strong protector of her and their children when they are at their most vulnerable. If she approves of his effort, she’ll join him and help push the ball toward a spot of rich, protected soil she’s selected as the perfect spot to raise a family. 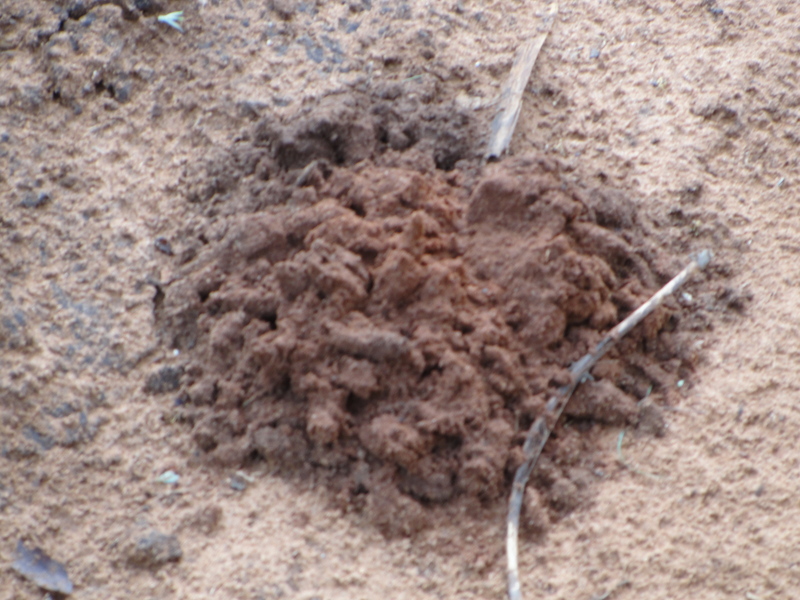 Then she leaves her eggs in the dung and the male beetle fertilizes them. When this female landed, the young male with the snowglobe dung ball went into a paroxysm of calisthenics. He heaved the ball to the right and left like a muscleman, he lifted it with one leg and then the other. And for the grand finale he did a shoulder stand and tossed the ball back and forth between his hind feet. But the lady beetle was unimpressed and took off after a moment or two, looking for a beetle more like the one we saw earlier. But rejection didn’t slow this guy down at all. He picked up the ball between his two hind legs and continued wobbling down the trail. “He’s going to have a hard time finding a mate,” Mat laughed. by the sun’s cinnamon rays. 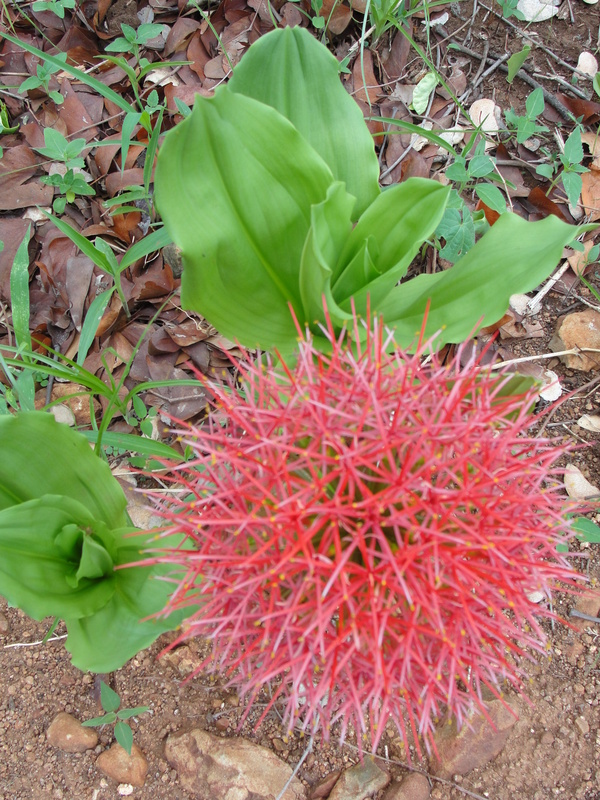 During the dry winter season, the earth is infertile, and leaves drop in order to conserve the tree’s water and energy as it goes into hibernation. Throughout winter and spring, the wind moves the fallen leaves around until they come across something that stops them, most often the roots or trunk of a tree or underneath a hedge. And there where they can do the most good they return as nutrients to feed the trees and bushes. Each tree consists of three layers. There’s the hard inner wood, and then a porous layer called the cambian layer, which is like a sponge that siphons water out of the ground and feeds it to the growing parts of the tree; that is, the leaves and the branches. The third layer is the bark, which protects the water layer. When winter comes, the cambian layer dries out and dies, creating the rings of the hard inner core, which is why we can count them and know how many years a particular tree has lived. 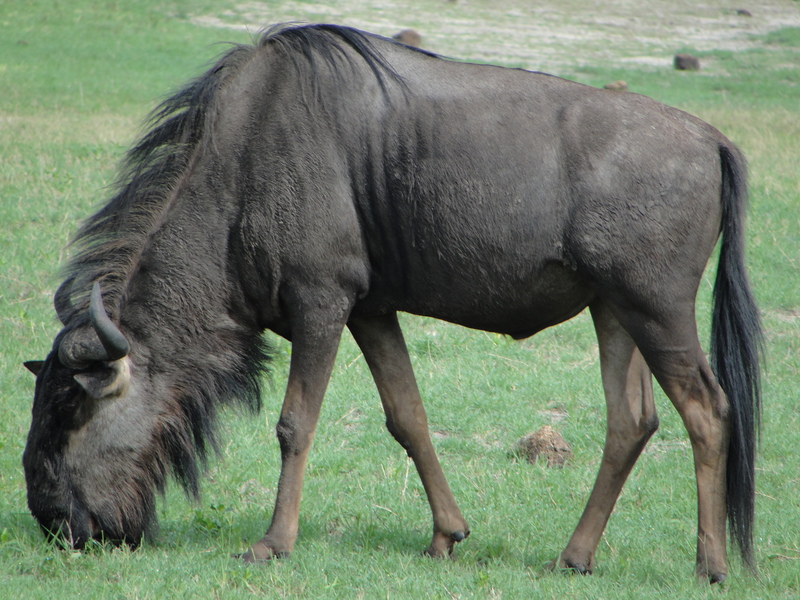 Animals who eat grass (with their heads down) are known as grazers, and are usually fast runners and feed in open areas, because they want to stay away from the brush where their major predators hide. They have large ears because they can’t see much when they’re eating with their faces pointed downwards. 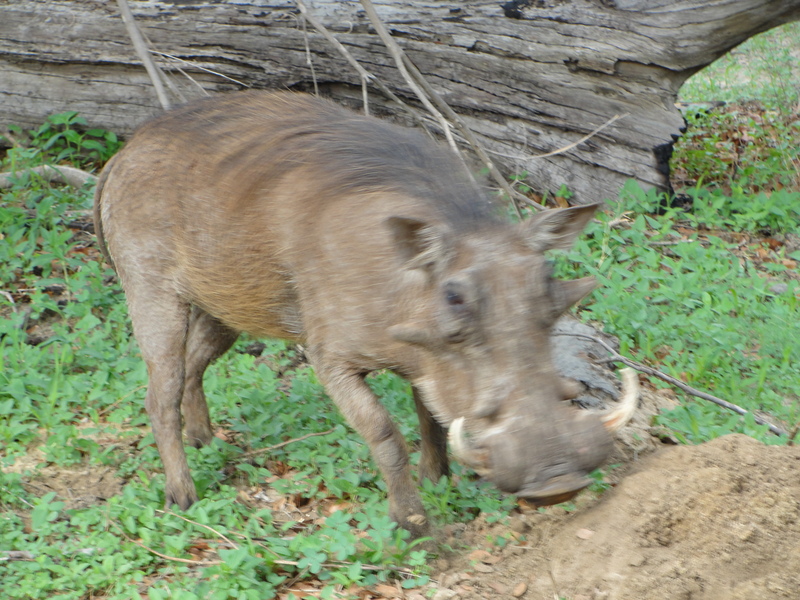 James has even seen a grazer—a warthog—walk right into a lion’s open mouth. Animals who eat leaves and shrubs (with their heads up, harder to surprise than grazers) are known as browsers. 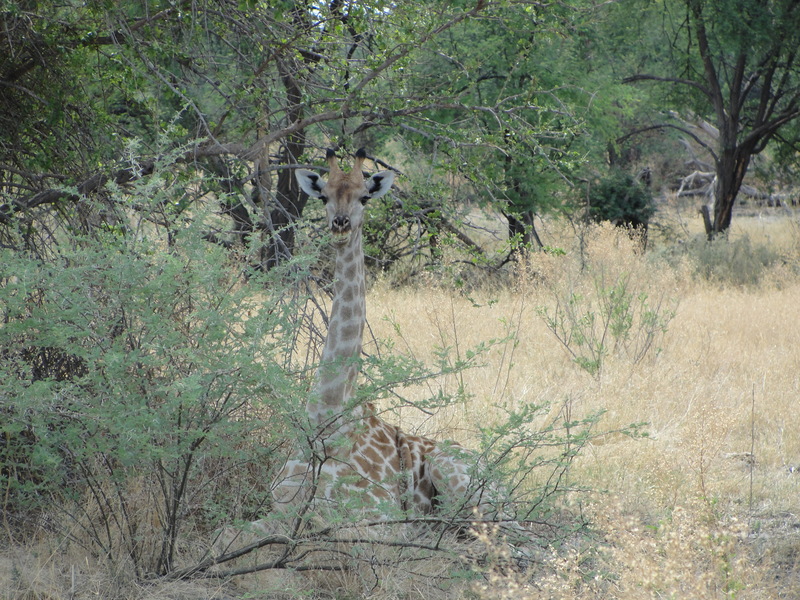 Browsers also have large ears because the shrubs they eat make it difficult to see a predator approaching. Herbivores (like elephants and giraffes) eat grass and shrubs, as well as branches and entire trees, peeling off the leaves and bark and leaving only the hard wooden core. Then for as long as a decade these rotting stumps continue to stand, bleached by the sun. Defensive behaviors for the kudu antelope include high jumping in random directions, which confuses the predators, who prefer a prey to run in a straight line so they can leap at their neck and bring the animal down. 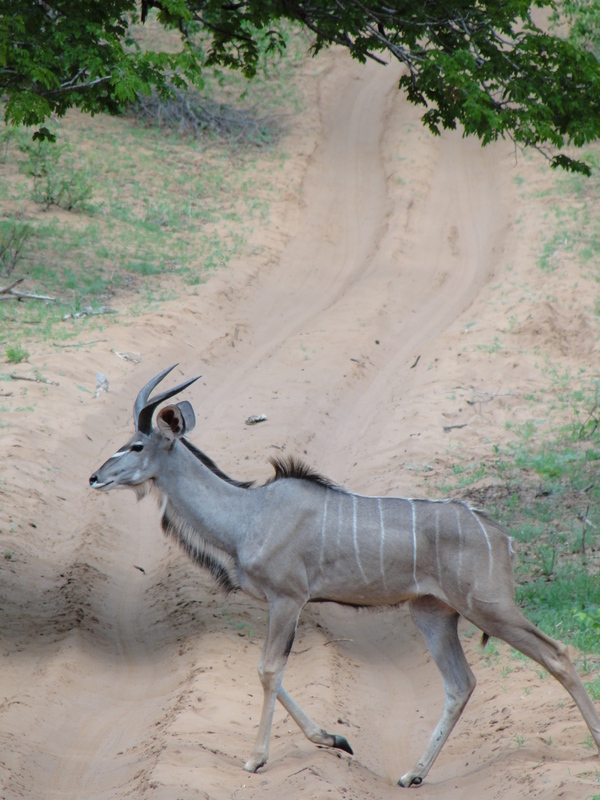 Kudus have even evolved a hump on their back from the extra muscles necessary for their high erratic leaping. Other animals—like the water buck—are freezers. A predator can only see movement, and if an animal freezes a lion can walk right past it. And then there are runners, like impalas and the other antelopes. They can outrun almost any predator as long as they’re not surprised and trapped before they can get started. The big cats rely on surprise to catch their victims. A lion or leopard usually has to bring down a kill before it even knows it’s in danger. 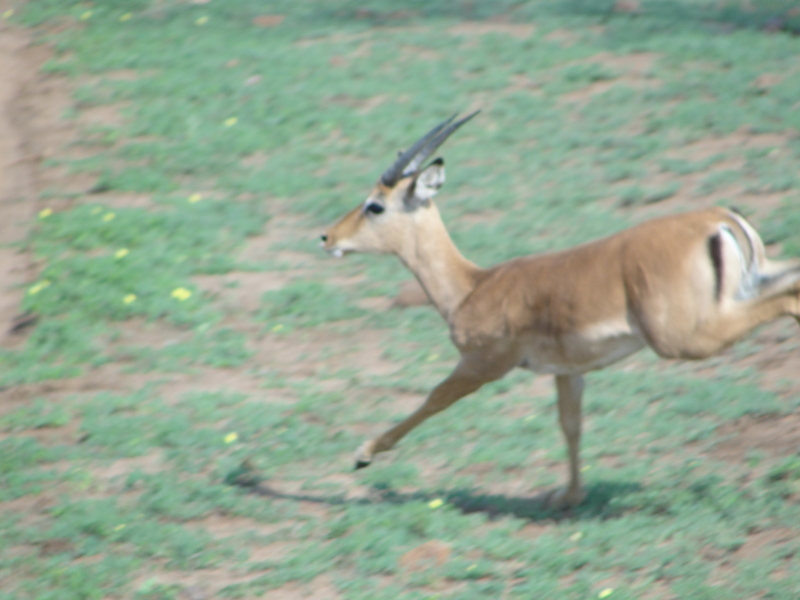 The two predators that gazelles can’t outrun are cheetahs and wild dogs—the cheetahs because they’re faster than any other animal over short distances, and the wild dogs because they can run forever, and will wear down even an eland—the largest of the antelopes, who can easily outrun and outfight a wild dog one-on-one—by chasing them until they fall over, exhausted. We ran into a group of zebras today, crossing the river. The alpha for this group was the mother, which is uncommon but not unheard of. 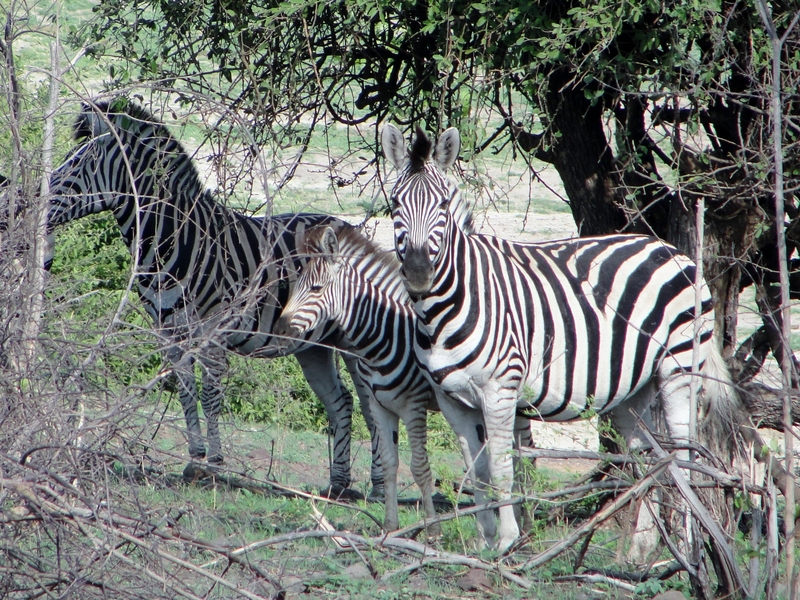 A group of zebras is known as a dazzle. This launches Tinashe into one of his many areas of expertise (others include astrology and astronomy)—the names of collections of various animals, like “a pride of lions.” I can’t tell if he’s making some of them up or not, but he was right about crows—it’s a murder of crows—which is one of the weirder ones, so I’m inclined to think he’s telling the truth. But it’s hard to swallow “an implausibility of wildebeests” or “a coalition of cheetahs” or “a shrewdness of monkeys.” But when he tells me that a herd of buffalo is an obstinancy I tell him I’m sorry but I come from bison buffalo territory and we call a group of buffalo a herd. A giraffe’s gestation period is fifteen months. 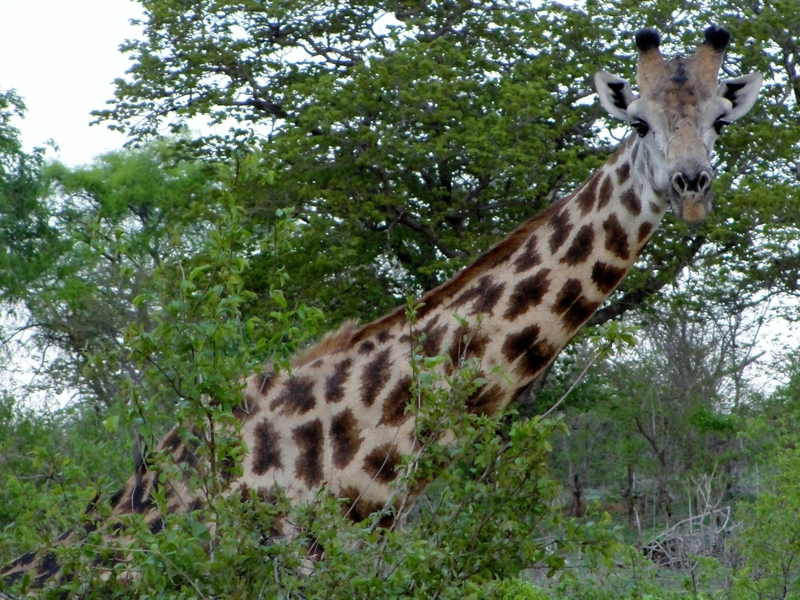 The giraffe falls from its mother’s vaginal canal about four or five feet to the ground. It’s thought that this fall is designed to jump-start the giraffe into becoming alert and standing on its own. A giraffe can only drink for short periods of time. When they bend down to drink from a water source, the blood rushes to their heads, increasing their blood pressure to dangerous levels. 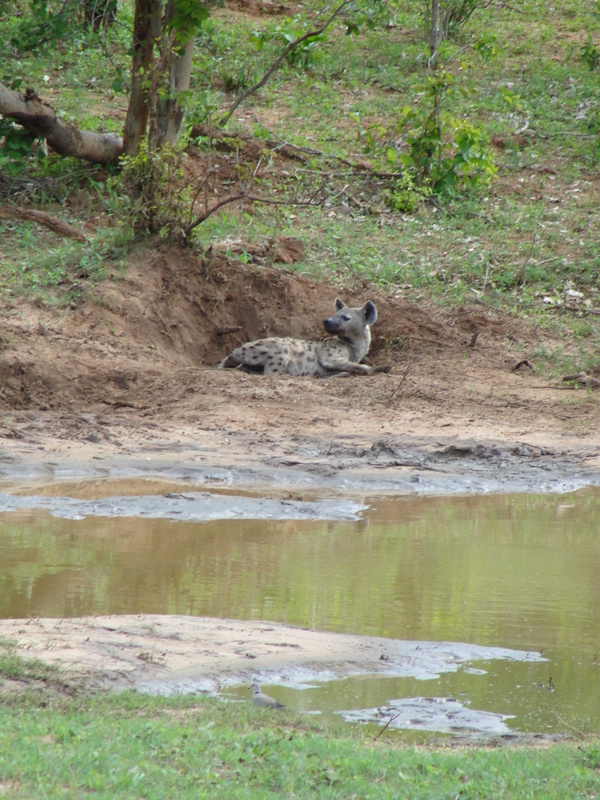 They are also more vulnerable with their heads down and there are always predators around any water in the bush. This is also why giraffes rarely sit down. Their knees are not meant for getting up and down, and if attacked they would be dead before they could defend themselves. They even sleep standing up. The way a giraffe defends itself is by taking its head and swinging it like a club at its opponent. A giraffe has no vocal cords, but they can make subsonic sounds with their lungs to communicate with other giraffes. After an afternoon with the giraffes, I agree with what the Safari Companion says about them. It says that they are boring because they are always doing one of two things: they are always either chewing or looking at you and chewing. 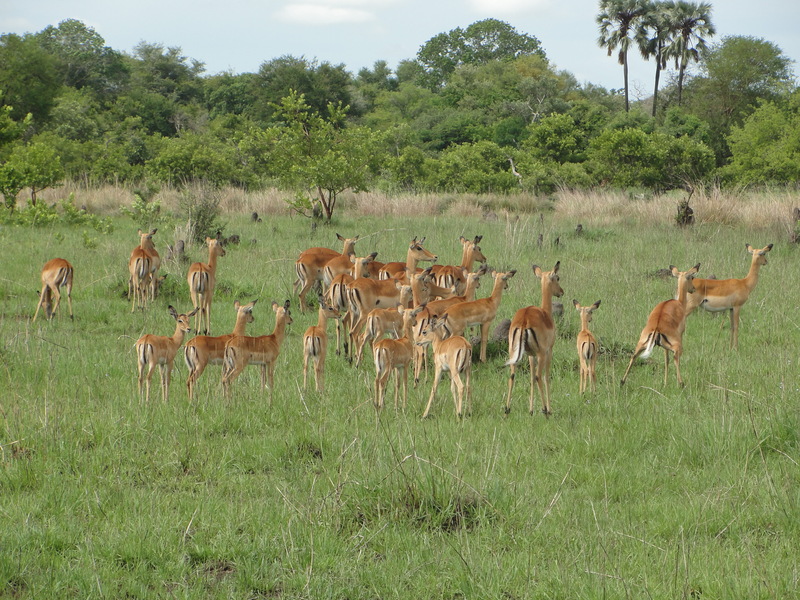 Metz’s favorites are the impalas, who travel in large groups, so there is always plenty going on. He tells us that a rank of impalas—another one of those unlikely names for groups of animals—can have over one hundred males, from adolescents to old men, and yet it will always have only one alpha male. All of the other males are subservient to him, and spend most of their days fighting for supremacy with the other servile males, sometimes so obliviously that they will wrestle into a pride of stalking lions. At the first sign of trouble, the alpha male impala gives out a high-pitched distress call, and everyone falls in behind him. If he runs to the left, they run to the left. If he freezes, they freeze. It’s not unlike watching the choreography of a Broadway show. 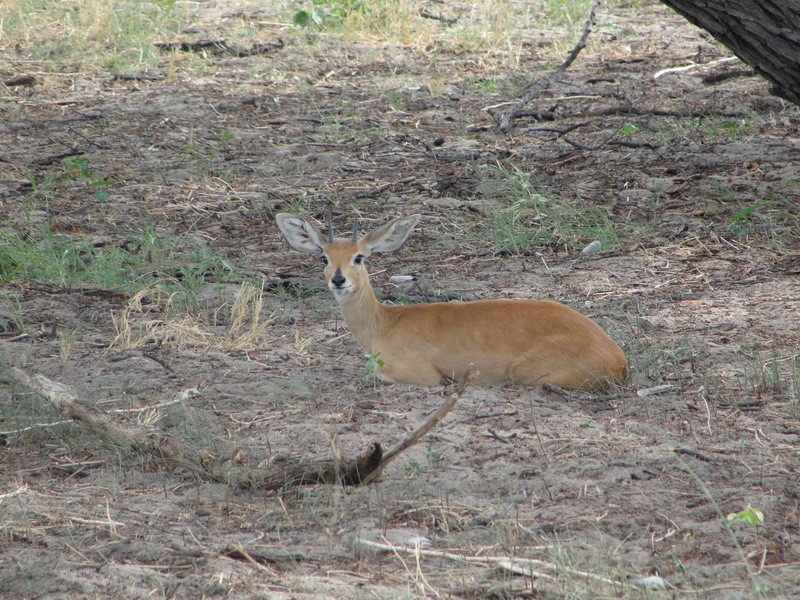 You can identify a bush buck by its white spots. 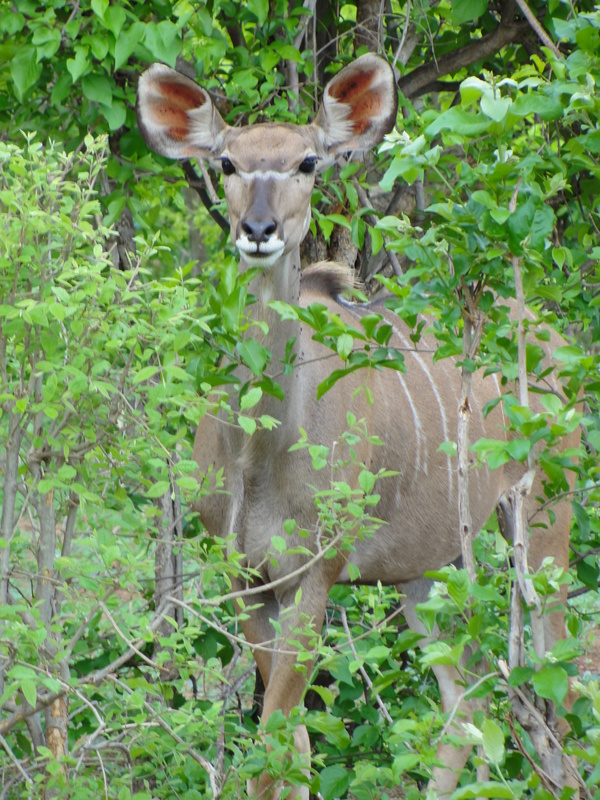 Other than usually one identifying mark (like the bush buck’s white spots or the different white markings on the kudu) and sometimes their size—like the miniature dykkas and steenboks—most of the 45 varieties of antelope look pretty much the same to me. But it was exciting to find two rare pukus (a very small antelope) in a field, but we couldn’t get closer because they’re shy. I tell Metz that I get the feeling that 90 percent of the wildlife here are long gone before we show up, and he says it’s more like 99 percent. the shimmer of sunlight on its fur. Wild date palm. Ink flower. Late afternoon, when everyone was starting to fade into sleepiness, including many of the animals, we rounded a small hill and suddenly came upon a leopard. Rhona spotted it first. Good catch, whispered James over his shoulder. It was lying in the cool dirt in the shadows on the side of the road. It was our first sighting after three days of searching. As I dug for my camera, Captain Jack, our driver, spun the Land Rover around and came up behind him. Wild animals see the Land Rovers as one big creature, and since we never do anything to harm them, they pay no attention to us. Size is also a determining factor with predators, and since we are considerably larger than the lions and leopards, we can pull up right in front of them and not feel in danger. But there are a couple of rules that keep us safe. 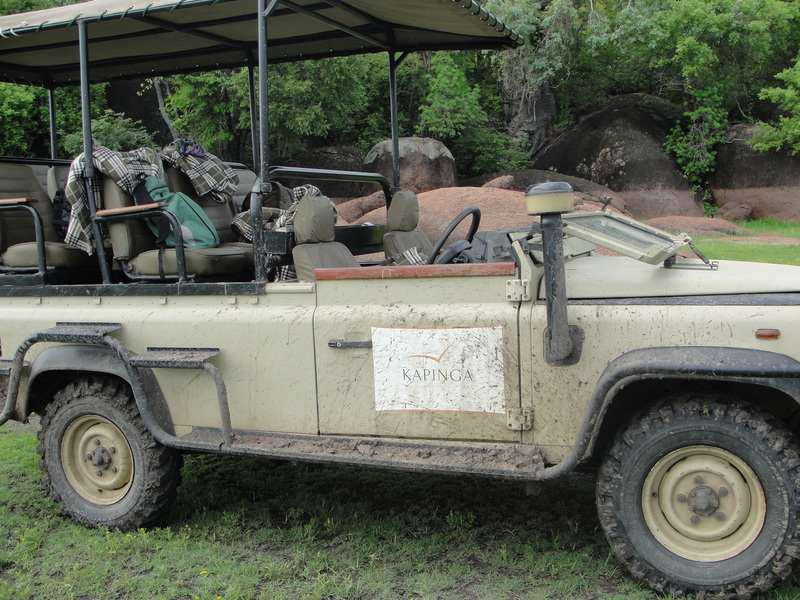 First, no one is to get out of the Land Rover at any time other than with a guide. Second, we are not to stand up or lean out, because if they see us as separate from the Land Rover, they will not be afraid to attack. It would be over before we knew what was happening. 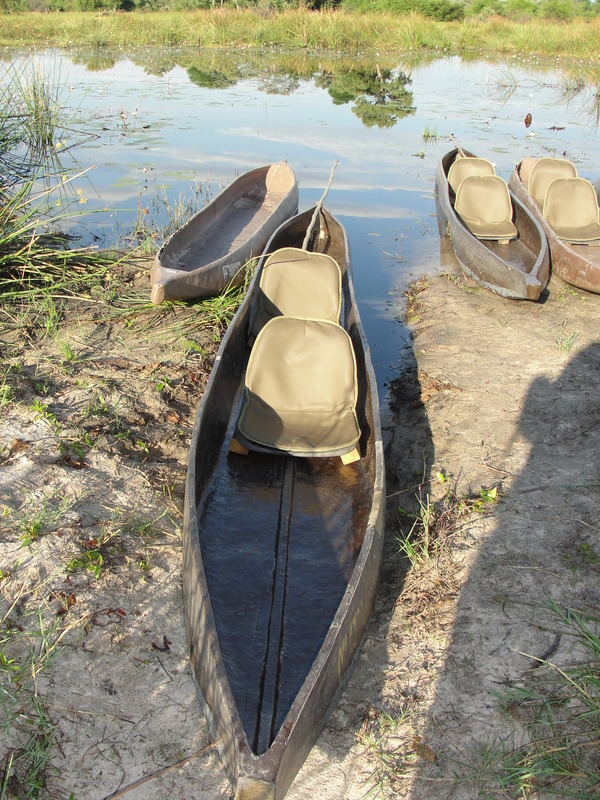 Captain Jack called out on his short-wave radio to the other guides in the area, telling them to take a right at the empty tortoise shell and a left at the single acacia. 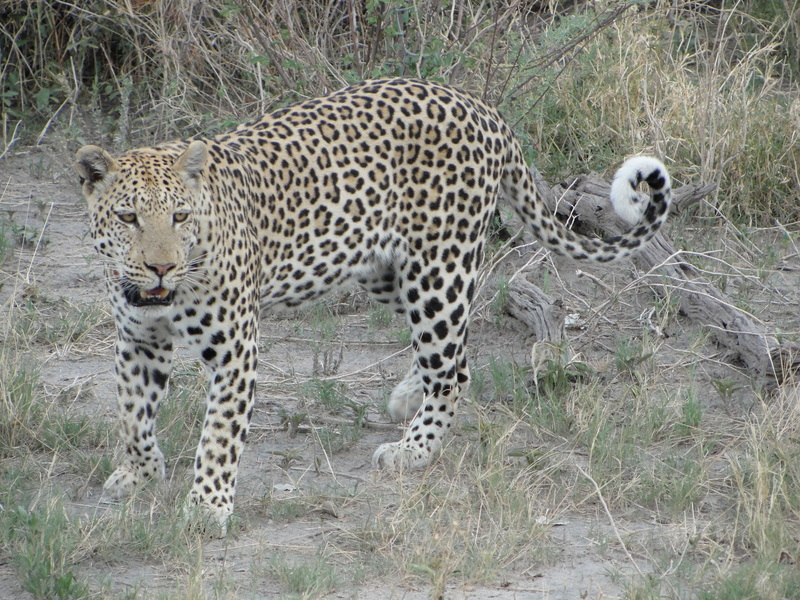 Then he pulled forward just as the leopard stood up and began walking in our direction. He went around the back of the Land Rover where I was sitting beside Rhona, and as he walked past us, she stood up to get a better shot. 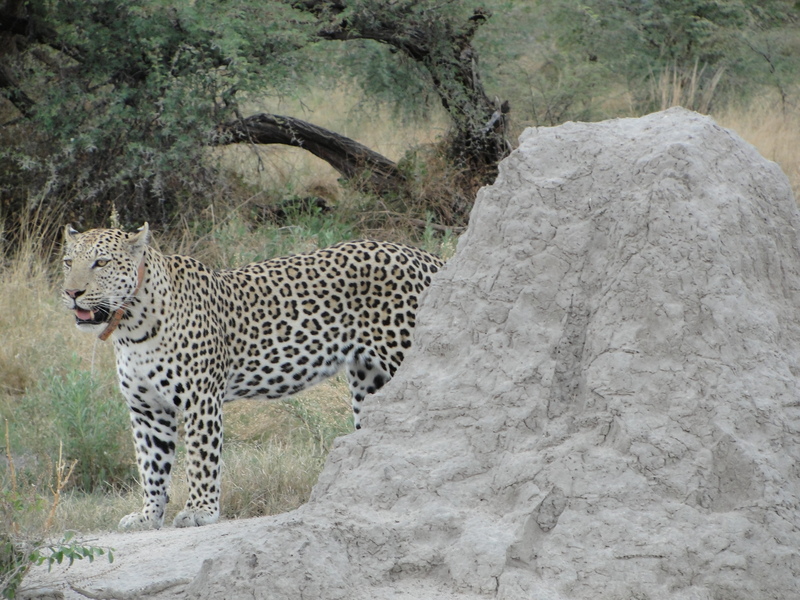 The leopard froze and looked up at her, less than three feet away. 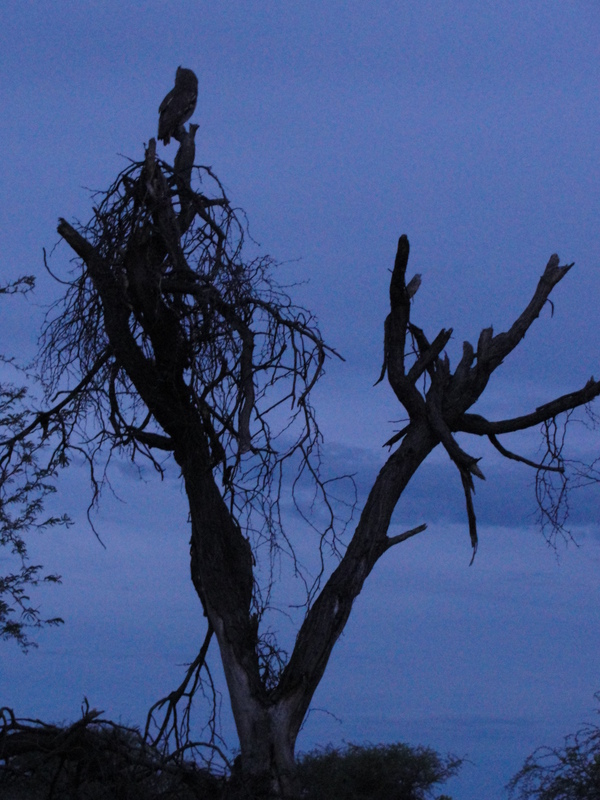 Rhona didn’t notice and when her camera began to click, the leopard tensed on its haunches as if about to leap, its head scanning quickly back and forth. There was a split second where I had to decide if I was going to lunge at Rhona and drag her back to a seated position but just as I began to move, the leopard looked in my direction and for a few seconds I was looking into the yellow eyes of a leopard as he decided if I was going to be lunch today or not. I guess in some way I knew I was in danger, but I wasn’t afraid. It was a very pleasant sensation, as if I was being hypnotized. And then, just as quickly as it began, it was over, and the leopard walked past the Land Rover, deciding we weren’t worth the bother. 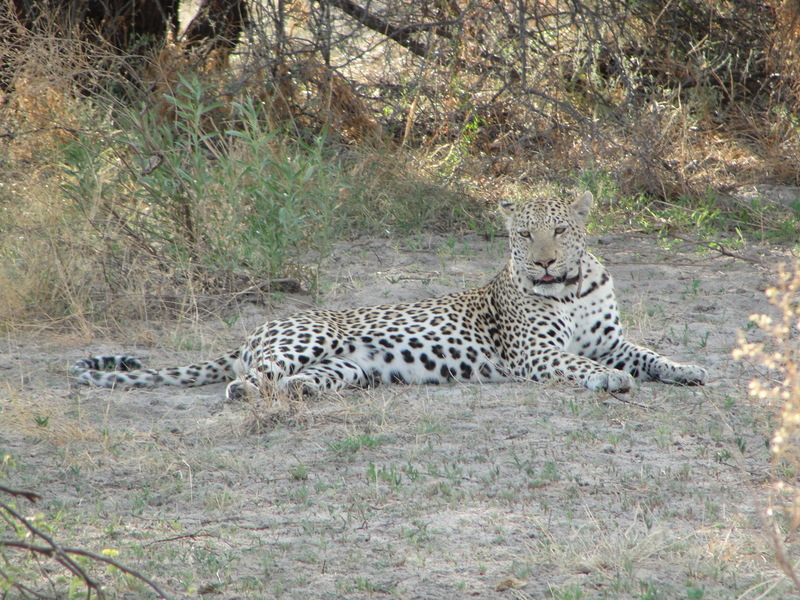 James, who saw it all happen, came up to me during our tea break, “Do you know how close that was, with the leopard?” I explain how my instinct was to reach up and pull Rhona down, but as soon as I began to move the leopard looked over at me instead. “Ah, you were never in any real danger,” he jokes. “I meant how close we got for photographs. Did you get some good photos?” I pulled out my camera and we went through them together. 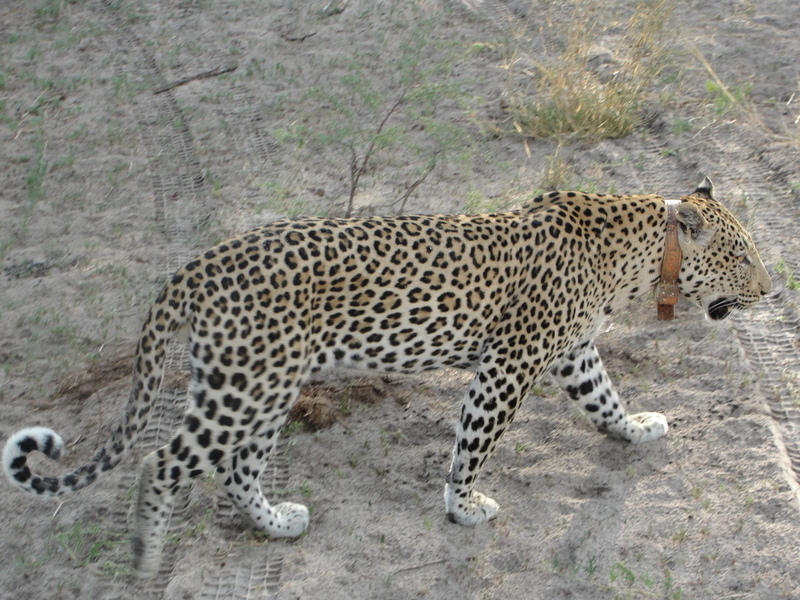 None of them—even one taken as it walked past me, or one a moment or two before it looked up, had any of the charge of what it was like to actually look into a leopard’s eyes. When I look at the photos, all I can see is a leopard. He might as well be in the zoo. As dinner is being served under the stars down at the campfire, Captain Jack arrives and begins to dance and sing. He seems much too drunk to have been completely sober when we arrived in camp less than fifteen minutes ago. He’s strapped a red bicycle lamp onto his forehead, and has stuck two branches behind his back, the leaves flapping like feathers as he lifts his arms up and down. When he feels he has everyone’s attention he begins to dance, lifting his knees as high as he can, kicking them higher than his shoulders and leaping into the air, singing a song in his grandfather’s tongue with howls and cries. He is doing the Crane Dance, his bare feet stomping the earth as if it is the surface of a lake, honoring the totem animal that led us to the leopard. As we left camp this morning his hand shot out to point out a crane—his mother’s totem animal and so his as well. 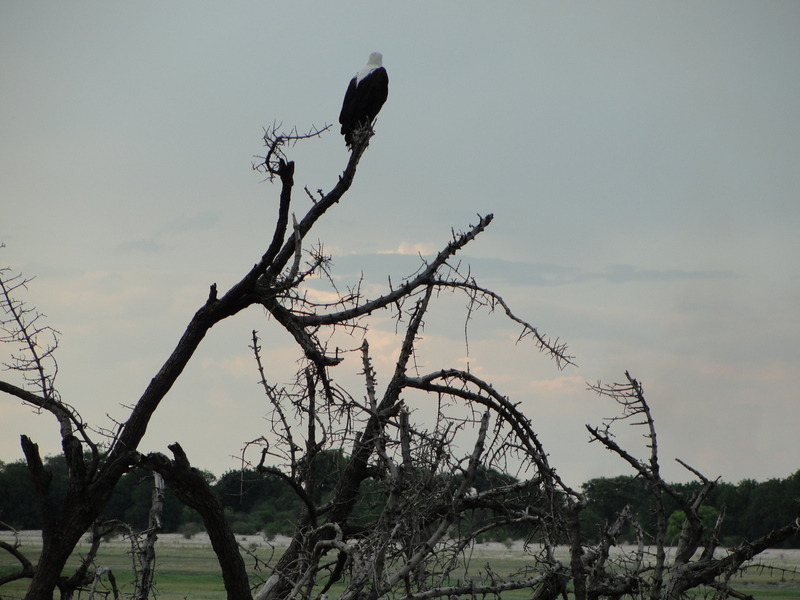 Any day where the first animal he saw was a crane, he told us, was going to be a good day. Today, he said, we would find our leopard. Music: Central Africa: Congo, Gabon, Cameroon. Jean Bosco Mwenda born into what at the time was the Belgian Congo, and was a Congolese fingerstyle acoustic guitar player (1930-1990), also known as Mwenda was Bayeke. He released his first recordings in 1952. In the 1960s he had a radio show in Nairobi which led many of his listeners to pick up a guitar and learn how to play. He was one of the few Congolese to obtain a Western education during the colonial era until he began to make a living as a musician, he worked as a clerk in a bank. M’bilia Bel is a singer and dancer born in 1959, known as the Queen of Congolese rumba. In the early 1980s she recorded and toured with Tabu Ley and made solo albums as well. In the mid-eighties she married Tabu Ley and after the birth of their first child, she took a break from recording. In 1987, Tabu recruited a new, younger female singer into the band, and M’bilia moved to Paris, where she began recording with guitarist Rigo Starr, and toured the United States, Britain, and West Africa with him in 1989 and 1990. Neither her career nor Tabu’s have ever really recovered from the break-up of their working relationship. Hilarion Nguema founded his L’Orchestre Afro Succes in Gabon’s capital of Libreville in 1962. The music of Gabon is heavily influenced by the Cuban and Congolese rumba that was broadcast by Radio Belgian Congo. Andre-Marie Tala was born on October 29, 1950, in Bandjoun, West Cameroon. His mother died when he was four years old. He went blind when he was fifteen, and when he was sixteen his father died. His grandmother took him and he began playing music and started a group he called the Rock Boys, and then one called the Black Tigers. In 1972 he released the LP “Hot Koki” and gave a copy of it to James Brown who was on a tour of Africa. James Brown liked the title song so much he recorded it himself. Unfortunately, he changed its name to “Hustle!!! Dead on It” and claimed he wrote it. He eventually lost a court case over the theft. Andre Mari has lived in Paris for over twenty years. Elizabeth Bessem Ayamo Manga (c. 1951-July 1, 2011), who performed under the name Bebe Manga, was born in Mamfe, Cameroon, and was a makossa singer, whose best-known song is one of the first she recorded, Ami. She died on her way to the hospital after suffering a heart attack at home. Dady plays various African percussion instruments, bass guitar, and taught himself how to play the djembe. Emmanuel Manu’ Djoke Dibango is a saxophonist and vibraphone player born in Douala Cameroon in 1933. He is a member of the Yabassi tribe. As a child he attended a Protestant church every night for religious education, and was accepted into the colonial school, where he learned French. He was a member of the dominant Congolese rumba group African Jazz, and has collaborated with Fania All Stars, Fela Kuti, Herbie Hancock, Bill Laswell, Bernie Worrell, Ladysmith Black Mambazo, Don Cherry, and Sly and Robbie. 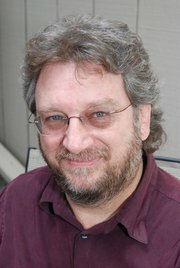 It has been credited as an influence on Michael Jackson’s Wanna Be Startin’ Somethin’ and Rihanna’s Don’t Stop the Music. In 2009 he played the closing concert of the Brecon Jazz Festival. Both Toumani Diabate and Ali Farka Toure are not Central African musicians, but I had room for one more song on this songlist and decided to include this track by the Malian musicians. Please see earlier columns for information on Toumani Diabate and Ali Farka Toure.